Big announcements for All In continue as a top indy prospect has been added to the card. 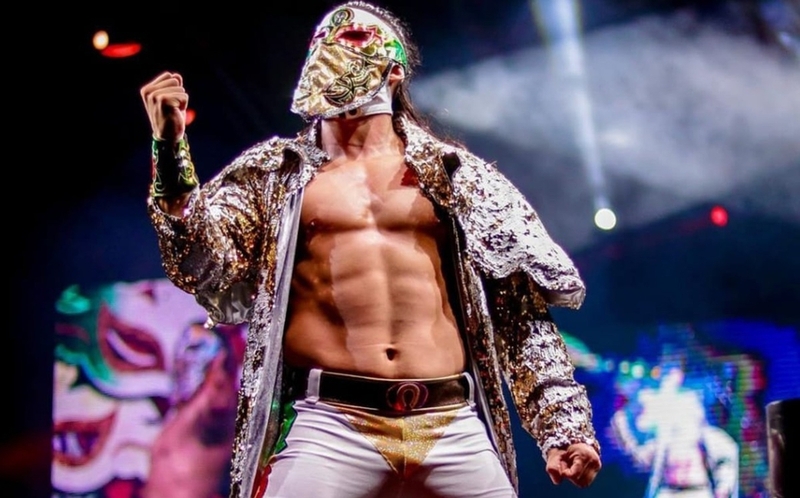 One half of the Young Bucks Matt Jackson announced this afternoon on Instagram that Bandido is the latest wrestler to join the upcoming independent show set for late summer. A standout independent wrestler in Mexico since his debut in 2014, Bandido has gained ground in the US indy scene in 2018, regularly working for PWG in California. He’s also set for their Battle of Los Angeles tournament, where he will face T-Hawk in the opening round At twenty three years old, he’s travelled all over the world, including most recently working dates for Dragon Gate in Japan. In addition to Bandido, it was recently announced during the latest episode of Being the Elite that Hangman Page will face Joey Janela at the event. Kazuchika vs. Marty Scurll has also been announced. All In will take place at the Sears Center Arena in Hoffman Estates, Illinois on September 1st.